PC copy, signed by the author. Synopsis : Welcome to New Crobuzon, the city at the center of China Mieville’s magisterial novel, Perdido Street Station. 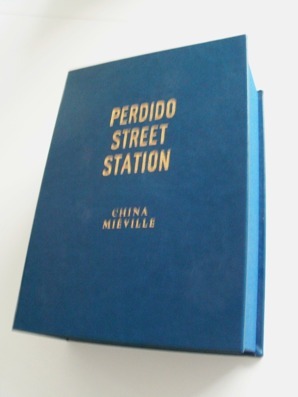 First published in 2000, Perdido was Mieville’s second novel (afterKing Rat) and the first to be set in the fictional universe of Bas-Lag. The book’s impact was powerful and immediate. It received, among other honors, the British Fantasy Society and Arthur C. Clarke awards for Best Novel, and announced the arrival of a major new voice in the literature of the fantastic. The story begins when Isaac Dan der Grimnebulin, a human scientist, and Lin, his alien lover, receive a visit from an exiled Garuda named Yagharek. Garuda are winged creatures for whom flight is as necessary as breathing. Yagharek, for reasons he cannot quite explain, has lost his wings, and commissions Isaac to restore them. 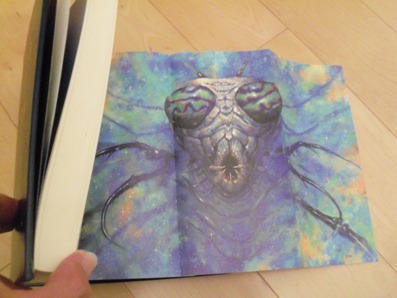 In accepting this commission, Isaac sets in motion a complex plot encompassing a potent hallucinogen called “dreamshit,” a deadly, moth-like insect that feeds on dreams, and assorted denizens of the city’s colorful — and dangerous — underworld. Dominating this vast canvas is New Crobuzon itself, a profusely detailed metropolis as authentic and convincing as any you will ever encounter. 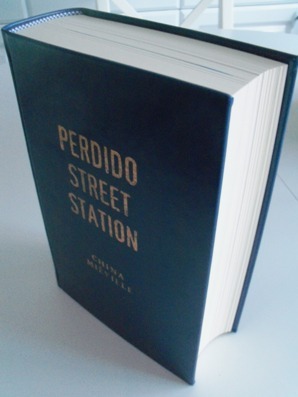 Like the city it so lovingly describes, Perdido Street Station offers delight and astonishment on virtually every page. The product of a powerful, wide-ranging imagination and a gritty, thoroughly urban sensibility, it remains one of the most significant fantasies of the modern era. You have never read anything like it. You probably never will. 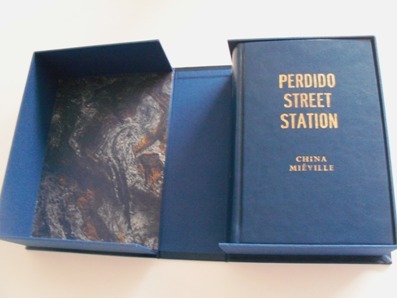 The Subterranean Press edition of Perdido Street Station will feature a full color wraparound illustration for the dust jacket, a full color gatefold pull-out illustration, and the novel’s original dust jacket illustration as a frontispiece.